On Thursday, Las Vegas police had a press conference on the shooting where they released body-camera video. Police said they can't recall this many shootings involving officers within such a short time. A man has died after a shooting involving Las Vegas police on Monday. 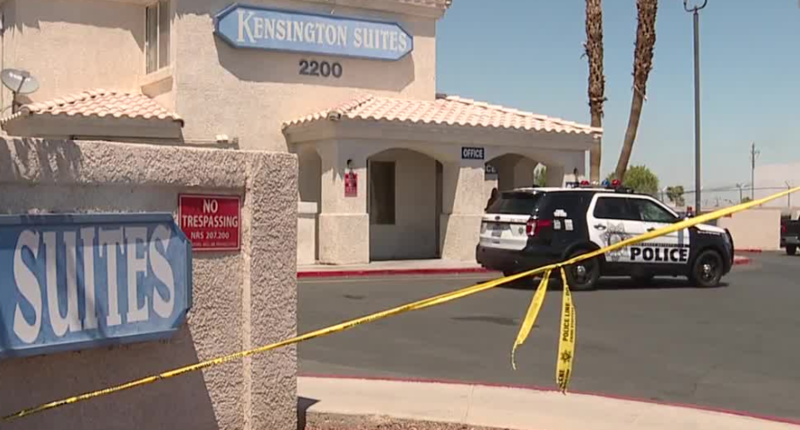 The shooting was reported around 1 p.m. in the 2200 block of West Bonanza Road, near Tonopah Drive, the address for Kensington Suites. Police were conducting a welfare check on an apartment which had its door barricaded and water running so much it was causing flooding. Earlier in the day, Spurgeon Daniels had made comments that indicated he wanted to hurt himself and had been seen running naked around the complex. Daniels initially refused to open the door. When officers entered, police said he was "extremely agitated." As he approached police, officers used a Taser, which was ineffective. The man then started swinging a knife toward officers and one officer was hit in the hand with a knife. That officer was transported to the hospital and has since been released. 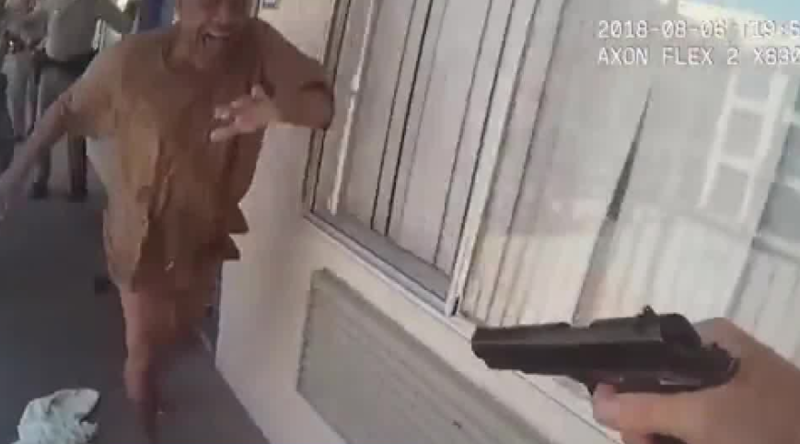 Police tried again using a Taser but it was still ineffective. As he continued being aggressive toward officers, an officer shot two rounds, hitting the man. The man died at UMC Trauma. 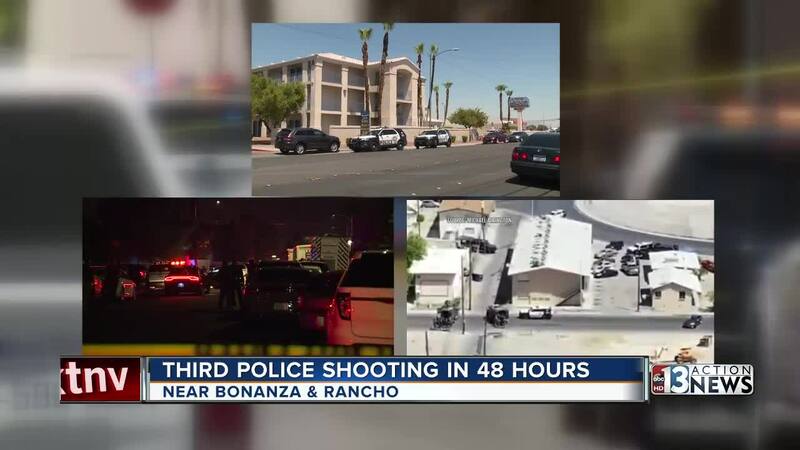 It is the third shooting involving Las Vegas police since Saturday and the 13th this year. The officer has been identified as 44-year-old David Stockton. He has been with the department since May 2007. "I'm hoping things will settle down in the next few days," said Capt. Kelly McMahill in response to a question about the number of shootings over the past two days. Watch the press conference and body-camera footage below. WARNING: The body-camera video is graphic in nature.